I know there are those that think ministry is all glamorous and all Pastors do is spend an hour or two getting ready to preach. Yet there really is a lot that goes on behind the scene. 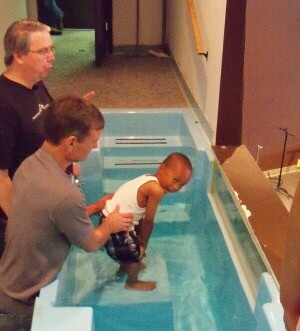 For the majority of Pastors who lead small churches we really do take on a lot of different tasks. We may be praying for someone in the hospital followed by cleaning the bathrooms at the church. Then there are the 2 AM phone calls and calls to the plumber to fix the busted water pipe. Janice and I will preach on Sunday and then be the last to leave to turn off the lights, air and lock up. Make no doubt, we have some of the hardest and most dedicated volunteers that put in endless hours to make ministry happen. Please do not think that I am complaining but sometimes ministry is just plain work. However, beyond all the work and sleepless nights that go along with my calling I would not change it for anything in the world. 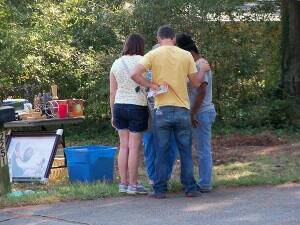 Two weeks ago we visited a couple of neighborhoods where we were able to pray with others in our community. 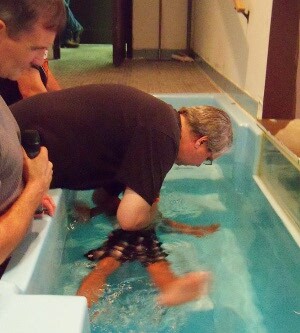 This past Saturday we finished a 3 night Revival. Multiple people were miraculously healed, and two young people gave their life to Jesus. 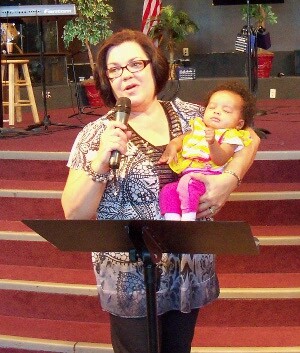 Then on Sunday morning Janice and I were able to dedicate beautiful baby Ramya and baptize little Roger. 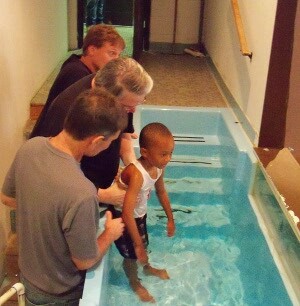 It was worth coming in on Saturday to clean out the baptismal pool. Ministry is often composed of long sometimes mundane days but then God shows up and changes someone’s life for eternity. So yeah, it is worth it all. It is a wonderful adventure of a life time. All Washed – And Heaven Cheered!! How are you living your life so it is worth it all?